The Discovery Center is now open in East Fairmount Park. Photograph courtesy The Discovery Center. You know, if I was going to write a throwback Nancy Drew novel, I’d probably title it something like The Mystery at the Hidden Reservoir. And it’d probably have something to do with a large body of water that’s been hidden away from public view for nearly 50 years. Probably. The two organizations behind The Discovery Center are committed to bringing more outdoor and experiential programming to this section of Fairmount Park, and they’ve already begun to do so with their inaugural monthly “Discovery Day” on September 29, which opened the place up for free outdoor activities for all ages. 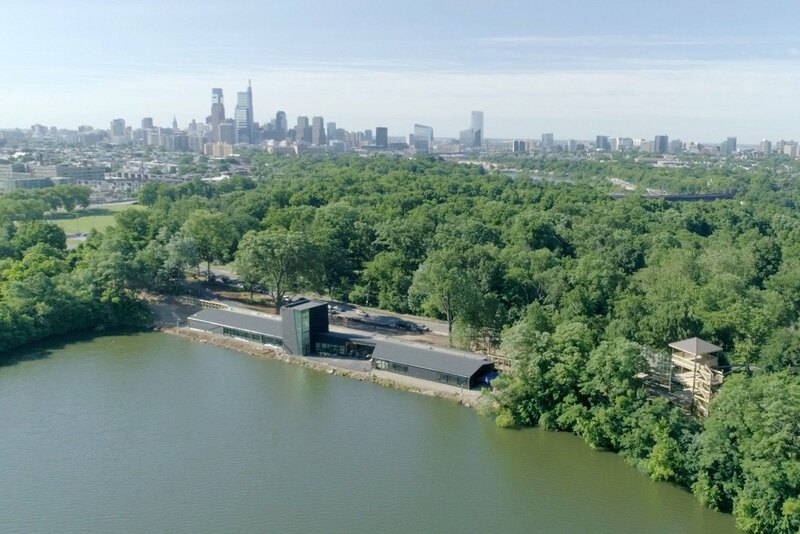 “So many people have strong and wonderful memories of the Strawberry Mansion Reservoir, and all of us at Philadelphia Outward Bound School are proud to play a role in reconnecting this unique space with the community,” said Philadelphia Outward Bound School executive director Meg Wise, in a press release. The 14,000-square-foot, environmentally friendly center was designed by Philly architecture firm, DIGSAU, and it lies on the edge of the 37-acre reservoir. Going forward, a trail around the reservoir, along with the center’s lobby and exhibits, will be open to the public five days a week, May through October, and three days a week, November through April. There will also be a calendar of ongoing environmental and community programming, much of which will be free (hooray!). And because the reservoir is home to over 150 migratory and native bird species and was named an Important Bird area in 2005, you can plan on some unique Audubon Society events (read: bird walks) as well. Check out their full list of activities and educational programs here. “The opening of The Discovery Center deepens Philadelphia Outward Bound School’s 25-year commitment to serving thousands of students each year from across our city and the Delaware Valley,” said Philadelphia Outward Bound School operations director Dan Hoffman, in a press release. “This fantastic new space will strengthen our existing programs while also allowing us to better serve nearby neighborhoods, like Strawberry Mansion, and the broader region. The Discovery Center is now open at 3401 Reservoir Road.